경험풍부한 강사가 정중하게 지도. 다양한 레슨으로 스키기술 향상을 서포트 하겠습니다. 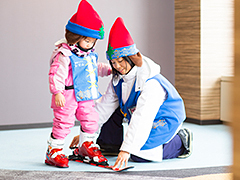 ※ For the safety of customers, it is recommended putting on your helmet during the lesson. Web Bookings will qualify for an 'Online Booking Discount'. A기간,B : It costs an extra 8,000 yen for one person. C기간: It costs an extra 4,000 yen for one person. Our top instructor who is expert in Tomamu will be escorting you from every angle. 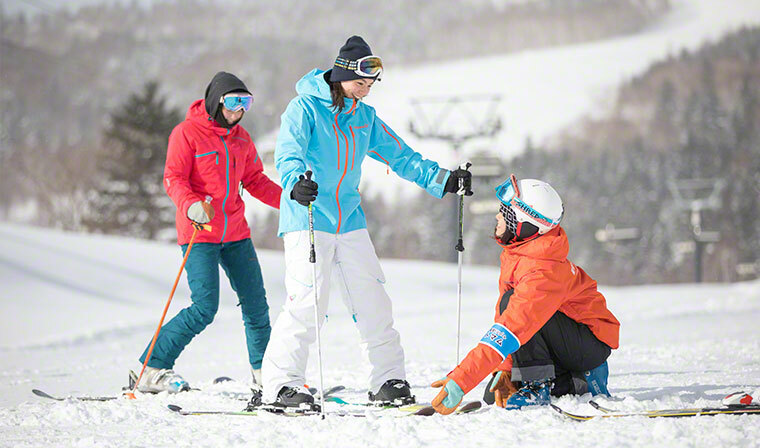 Through day before coordination, we will support your preparation in Rental Equipment, Powder Guide, Restaurant Reservation with many other services you may need. 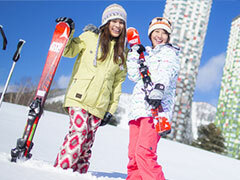 Group ski lessons in English only. 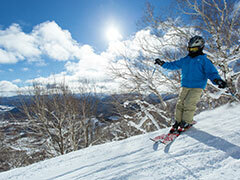 Before beginning the lessons, participants are divided into Capacity four classes according to age and skiing skills. This is a group lesson based on ability level. 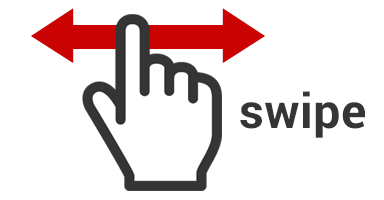 Please choose the appropriate skill level on the booking page. This is a group lesson based on ability. 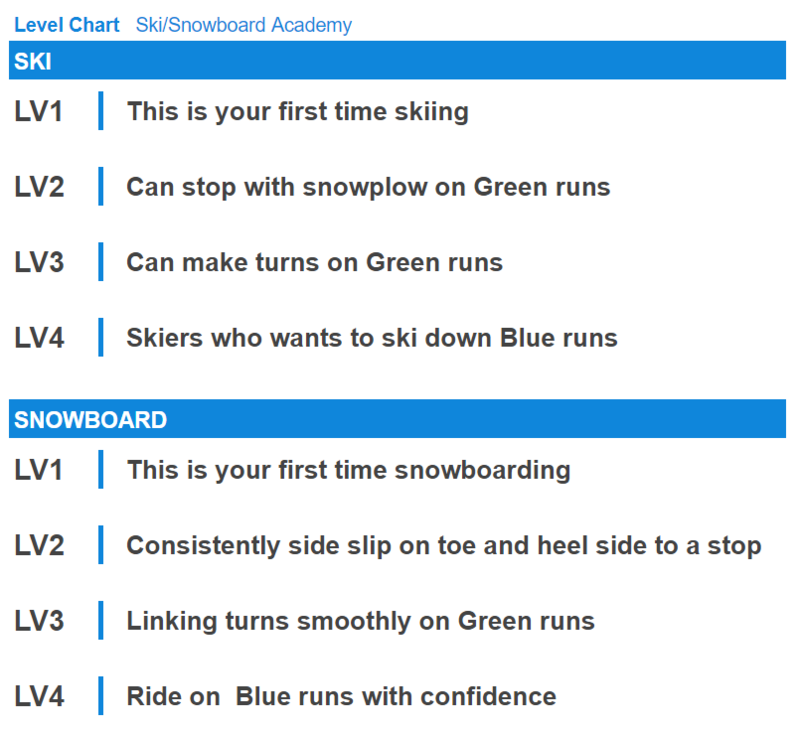 Ski lessons have 4 levels, Snowboard lessons have 2 levels. Please choose your childs's skill level on the booking page. Kid paced lesson for small child. 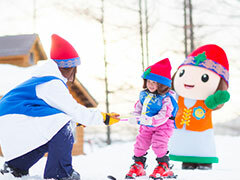 We will mix with some snow play and will support the kid to ENJOY snow experience. 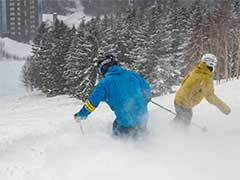 This lesson comes with limited time for ski rental. 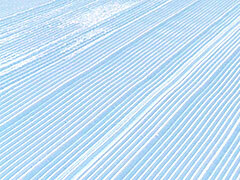 Ride on to the first gondola and go Capacity the mountain top. We will have barn just for you. This program does not come with a lesson but there will be instructor with you to support your special time. When caught by the bad weather we may not able to proceed this program and we ask for your understanding on this matter.